Nancy Thompson received her Radiation Therapy certificate from Washburn University in Topeka, KS, and is registered by the American Registry of Radiologic Technologists in both Radiology and Radiation Therapy. Nancy holds a Bachelor of Science degree in Business Management from Friends University in Wichita, KS, and is a Certified Medical Dosimetrist. Nancy has trained extensively in Intensity Modulated Radiation Therapy (IMRT) treatment planning, as well as, 3-Dimensional Conformal Treatment Planning. 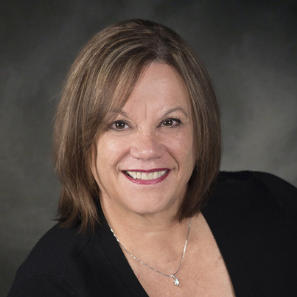 Nancy is responsible for treatment planning in both the newton and Emporia offices and is a member of several Radiation oncologies, The American Association of Medical Dosimetrists, as well as the American Society of Radiation Oncology Administrators.